Motivational Humorist and Author, Kay Frances MBA, has shared her message to “lighten up, stress less and take care of ourselves” in 49 states and Canada for over 30 years. She holds a Master’s Degree in Business Administration, a degree in Health and Education and a 4th degree black belt in karate. She was also a family caregiver for 7 years. Kay Frances combines her years of standup comedy, her education and her passion for her message to offer a unique skill set not often found in one speaker. When it comes to managing stress, Kay learned the hard way by engaging in every unhealthy habit known to man. It was a long, winding, hilarious road back to sanity and good health and Kay generously shares what she learned along the way. It’s clean, relatable humor-with-a-message at its funniest! Your stress level will thank you! Dennis Wichern is a partner in Prescription Drug Consulting LLC, where he focuses his efforts on risk mitigation and compliance initiatives to protect healthcare organizations and providers nationwide. His experience includes 30 years of public service as a DEA Special Agent retiring in 2018 as the Special Agent in Charge of the Chicago Field Division where he directed all criminal enforcement and diversion control operations in the states of Illinois, Indiana, Wisconsin, Minnesota and North Dakota with a team of approximately 550 employees. Dennis is a recognized expert on the dangers of heroin and the prescription drug epidemic and routinely speaks to healthcare organizations and providers to identify methods to better safeguard their practices and reduce the professional and operational risks emanating from these threats. Dennis was the first to develop CME and CLE programs addressing MAT and pain prescribing safeguards, federal regulatory and DEA compliance, credentialing and drug destruction. Dennis has been a guest lecturer on medical prescriber safeguards to medical students, residents, prescribers and medical staff specialists at Northwestern University Feinberg School of Medicine, Chicago, IL; Illinois Surgical Quality Improvement Collaborative , Chicago, IL; Southern Illinois University School of Medicine, Springfield, IL; Indiana University School of Medicine, Indianapolis, IN; Marian University College of Osteopathic Medicine, Indianapolis, IN; Rosalind Franklin University of Medicine and Science, Chicago, IL; Swedish American Hospital, Rockford, IL; Community Hospital, Indianapolis, IN; St. Vincent Hospital, Indianapolis, IN, Floyd Memorial Hospital and Health Services, New Albany, IN; Decatur County Memorial Hospital, Greensburg, IN; University of Illinois College of Dentistry, Chicago, IL; Southern Illinois University School of Dental Medicine, Edwardsville, IL; Vizient and the Kentucky Association of Medical Staff Specialists. Dennis has also lectured with the American Bar Association Health Law Section; the American Health Lawyers Association; Indiana University McKinney Law School, and at the DEA Training Center in Quantico, VA. Prior to his transfer to Chicago in 2014, Dennis oversaw state-wide DEA criminal and diversion control operations in Indiana where he observed first-hand the deadly effects resulting from prescription drug abuse. It was during this period that Dennis initiated partnerships with the medical community to safeguard and enhance their practices from the risks associated with prescription drugs. Dennis is an energetic and entertaining speaker that can give you the tools to safeguard your organization for years to come. Jon Burroughs, MD, MBA, FACHE, FAAPL is President and CEO of The Burroughs Healthcare Consulting Network, Inc. and works with some of the nation’s top healthcare organizations to provide ‘best practice’ solutions and training in the areas of governance, physician–hospital alignment strategies, credentialing, privileging, peer review and performance improvement/patient safety, strategic planning, physician performance and behavior management, as well as ways in which physicians and management can work together in new ways to solve quality, safety, operational, and financial challenges through the creation of population health programs and clinically integrated networks. Dr. Burroughs serves on the national faculty of the American College of Healthcare Executives and the American Association for Physician Leadership, where he has been consistently rated as one of their top speakers and educators. In 2014, he and Dr. David Nash were awarded a development grant by the American College of Healthcare Executives (ACHE) to develop a twelve hour national program to address population health and the disruptive innovative business models necessary to support it. He developed a two day advanced physician leadership program for AAPL which was introduced at the Fall Institute in Arizona in November, 2016. 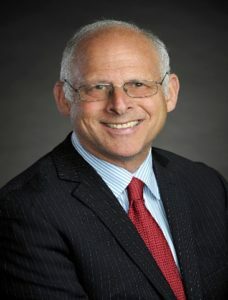 In 2016, he, John Byrnes, MD, and Richard Priore ScD, FACHE were awarded a national development grant by the American College of Healthcare Executives (ACHE) to develop a twelve-hour national program to address C suite collaboration with physicians and the link between quality, safety, and service outcomes with financial performance. In 2017, he and Rich Priore ScD, FACHE introduced a new national program for ACHE entitled “Monetizing Quality in a Pay for Value World” that was introduced in Orlando, Florida in December, 2017. He is the author or coauthor of the following books: Redesign the Medical Staff Model-A Collaborative Approach (published by Health Administration Press, January, 2015 and honored with the 2016 James A. Hamilton Award for outstanding healthcare management book), The Complete Guide to FPPE (2012), Medical Staff Leadership Essentials (2011), Engage and Align the Medical Staff and Hospital Management: Expert Strategies and Field Tested Tools (2010), A Practical Guide to Managing Disruptive and Impaired Physicians (2010), The Top 40 Medical Staff Policies and Procedures, Fourth Edition (2010), Emergency Department On-Call Strategies: Solutions for Physician-Hospital Alignment (2009), and Peer Review Best Practices: Case Studies and Lessons Learned (2008). His next book “Essential Operating Components of High Performing Healthcare Enterprises” will be released by Health Administration Press in 2018. Dr. Burroughs’ passion for the outdoors has led him to serve as a physician on mountaineering expeditions and he has reached the summits of over 5,000 peaks throughout North America, South America, Europe, Africa, Asia and he is the coeditor of the 26th edition of the White Mountain Guide and the first edition of the Southern New Hampshire Trail Guide. He was the first person to hike and log all 2,000 + miles of maintained trails in the State of New Hampshire. Dr. Burroughs received his bachelor’s degree at Johns Hopkins University, his MD from Case Western Reserve University, and a healthcare MBA with honors at the Isenberg School of Management. He is a certified healthcare and physician executive and is a fellow of the American College of Healthcare Executives where he was recently honored with a service award and the American Association for Physician Leadership. Jerry Bridge is a nationally recognized motivational speaker, educator and author to the healthcare industry. Over the past 25 years Jerry has presented his programs for more than 250,000 clinicians, caregivers, executives and administrative staff. Jerry is well known for delivering inspiring, engaging, entertaining keynotes and content rich workshops designed to transform productivity, reduce stress and increase well-being. Jerry’s book, Who Cares? The Give and Take of Family Caregiving has been widely recognized by healthcare professionals as an inspiring, uplifting memoir for anyone with a family caregiving challenge or story. Jerry has travelled the world running marathons, raising money and resources for ending hunger. A baby boomer from Baltimore, he’s never lost his fondness for his hometown teams, blue crabs and Maryland hospitality. He is a drummer, knows his way around a kitchen, and has performed standup at the world famous Comedy Store. Above all else, Jerry’s passion is to support and empower caregivers everywhere, while having lots of fun in the process! Southern Belles and Beau: A Speaker Bureau dedicated to providing professional development and healthcare industry education across the credentialing continuum. John Pastrano, BBA, CPMSM, CPCS, is the Director – Centralized Verification Organization for Tenet Healthcare located in Dallas, Texas with oversight credentialing responsibilities for pre-applications and applications with hospitals within the Texas Region. 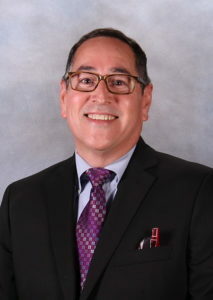 He previously was the Administrative Director of Medical Staff for 2 Dallas area hospitals with responsibilities including oversight of medical staff affairs, processing pre-applications, initial and reappointment applications and Focused Professional Practice Evaluations (FPPE) and Ongoing Professional Practice Evaluations (OPPE). John, a native Houstonian, holds a Bachelor’s Degree in Business Administration from the University of Houston. John’s 25 years of credentialing experience has been in both the hospital and managed care settings. John has also been an Intermittent Consultant for Joint Commission Resources. John was the first elected male President for NAMSS in 2014 and continues to serve as a NAMSS Alternate Representative to The Joint Commission’s Professional and Technical Advisory Committee (PTAC) and a NAMSS Instructor. Erin Muellenberg brings a strong skillset to her exclusive practice of Medical Staff law. 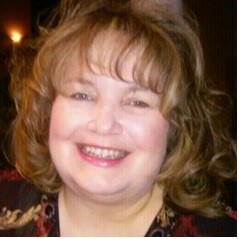 Having been a Director of Medical Staff Services in a large community-based hospital she is intimately familiar with the daily operations of the Medical Staff Organization and its governance process. Her practice covers advising hospitals, health systems, critical access hospitals, ambulatory surgery centers, and medical groups on the regulatory, compliance and practical requirements for interfacing the medical staff and allied health professional staff with hospital operations. Development of general and facility specific medical staff leadership and orientation programs. 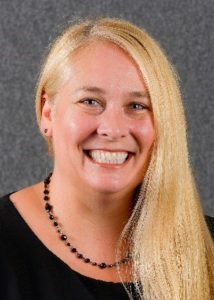 Erin has written and lectured on a variety of health law topics, including credentialing, peer review, compliance, provider health and well-being, risk management, and the medical staff fair hearing process. She is a member of the California and National Association of Medical Staff Services, the California Society of Healthcare Attorneys and the American Health Lawyers Association. 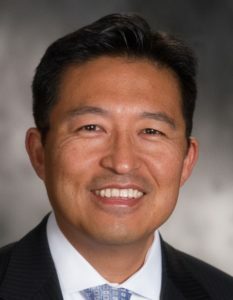 In his role as Associate Vice President, Perioperative Portfolio for Providence St. Joseph Health, Dr. Jimmy Chung is responsible for system-wide collaborative development and integration of perioperative best practice and processes, working with physicians and operational stakeholders across the 51-hospital system. Dr. Chung is also responsible for clinical value analysis of perioperative products and devices, and has integrated physician leadership into developing strategic plans for system-wide supply chain standardization initiatives, using physician-specific cost and quality data analytics. He has spoken at numerous conferences around the country as an expert on development of physician leadership in optimizing the cost, quality, and outcomes of healthcare. Dr. Chung received his MD at UC San Diego and completed his surgery residency at University of Washington. He completed his MBA at the Isenberg School of Management, University of Massachusetts at Amherst. He serves on the Steering Committee of the American Society of Anesthesiologists’ Perioperative Surgical Home Learning Collaborative. He chairs the Conference Education Committee of the Association for Healthcare Resource & Materials Management (AHRMM) and has served on its Board of Director for three years. He is a Panel Chair for the Washington Medical Commission and serves on several committees for the Society of American Gastrointestinal and Endoscopic Surgeons (SAGES). 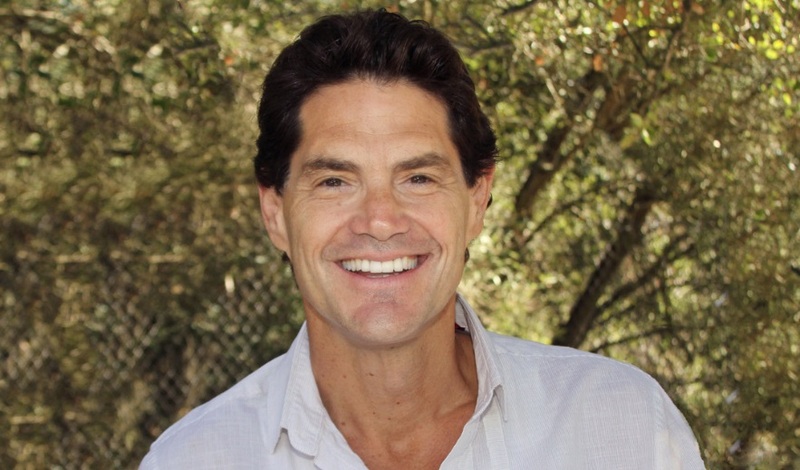 He practiced general and vascular surgery in Santa Cruz, California for 13 years before joining Providence Health & Services in 2013 and continues to practice surgery part-time. He has previously served as Chief of Staff at Dominican Santa Cruz Hospital, Board member of the California Medical Association, and President of the Santa Cruz County Medical Society. He is Board Certified in Surgery and Health Care Quality Management, and is a fellow of the American College of Surgeons and a fellow of the American Board of Quality Assurance and Utilization Review Physicians. I have spent over 30 years in the health and safety industry working with employers to help set up their pre-hire health and safety protocols, background screening and drug test protocols. Drug Free Business, a non-profit business has extensive experience in developing drug and alcohol testing policies and programs for all types of employers (industrial, healthcare, construction) since 1998. Our specialty in healthcare is Medical Review Officer services, DOT random selection programs and “reasonable cause” training for the employer. I am an extroverted idealist. I enjoy working with a diverse team, who interest and inspire me. I am team oriented and build off the energy of others with my contagious enthusiasm. Challenges are important ingredients for my professional motivation. My strengths include: creating solutions, discovering new methods and opportunities, conceptualizing new ideas and leading change. My vision is to spread my passion to empower new leader volunteers.